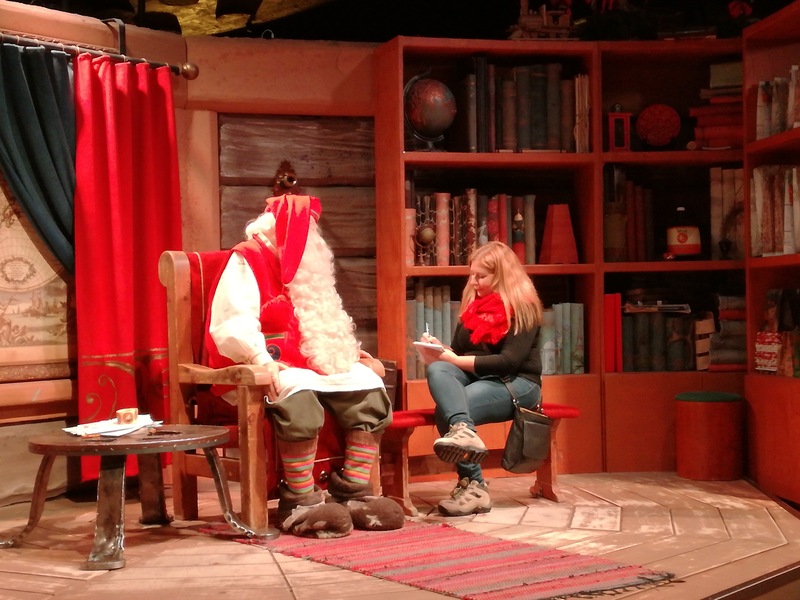 THIS Finnish fairy tale begins in the home of a Laplander who talks to elves, and ends with an interview with Santa Claus. 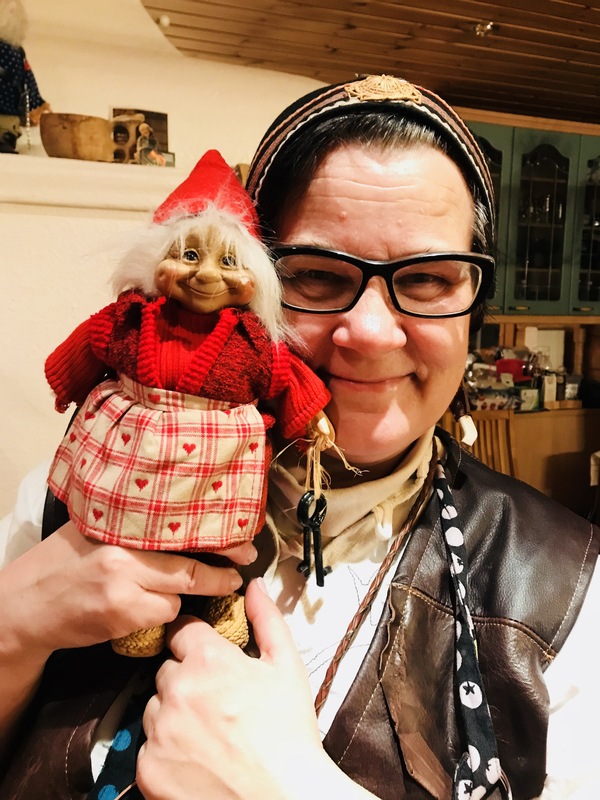 I am sitting in the north of Finland in the Rovaniemi home of Irene and Ari Kankaanpaa, and Irene is explaining how one of her house elves doesn’t like where it sits, so much so that when Irene comes home from her artist studio, the elf is often naked. I suggest the elf may want to be in the sauna, where all good Finns get naked. Irene agrees. 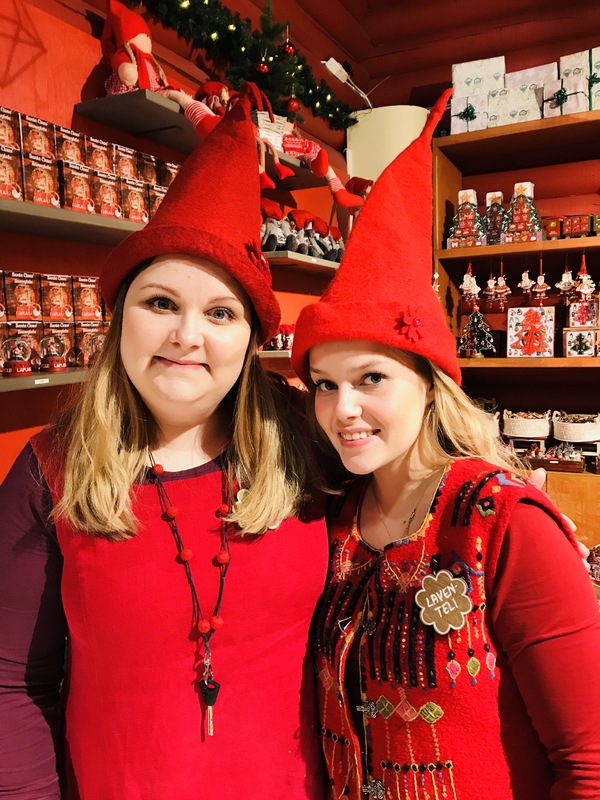 This is a story of Christmas miracles, elves and how I finally met Santa Claus. 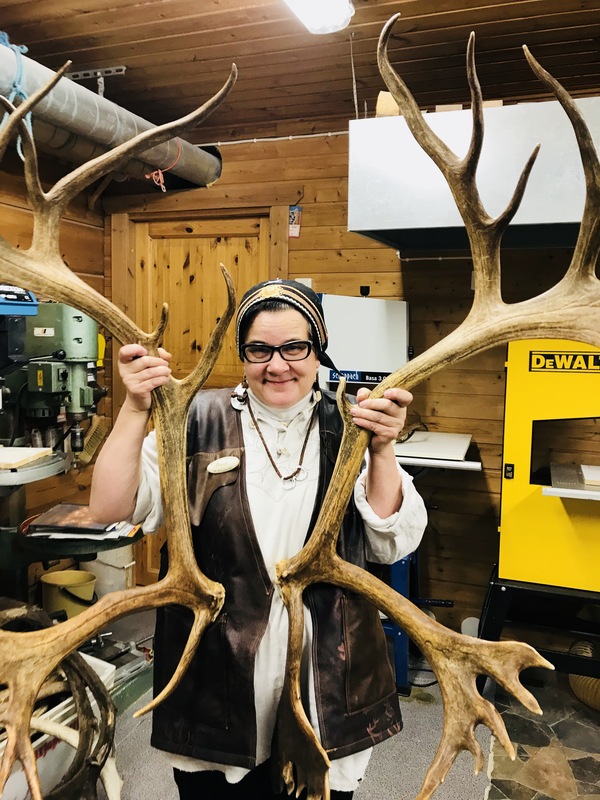 And it starts with this eccentric artist who, with her husband Ari, spends her days crafting handicraft out of reindeer horns and other body parts. 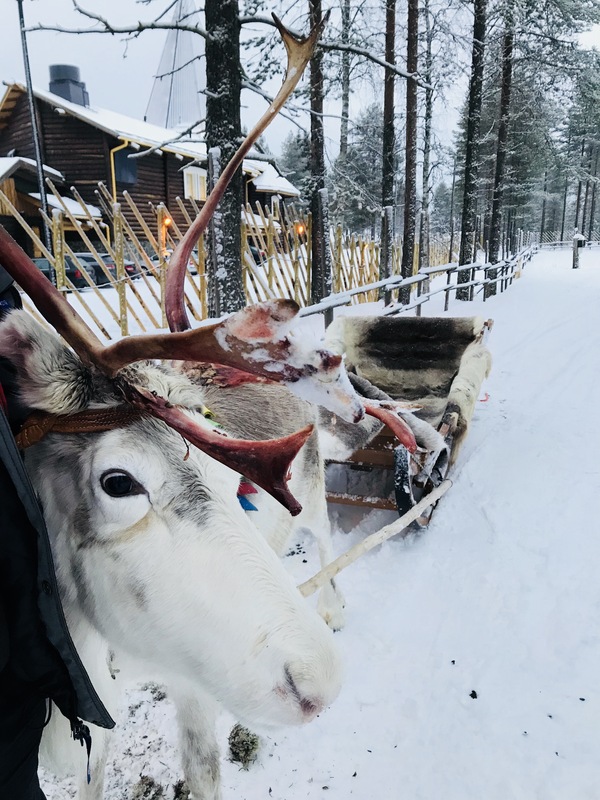 I learn a lot about reindeer, how up here they are considered the best due to the high calcium in their bones, and how the Finnish use every part for clothes, tools and food. And along the way I learn a little about love, Lapland style. “We make love and fishing in summer and not so much fishing in winter,” Irene says. “Lappish men don’t talk much, so don’t be too aggressive. It is a very equal relationship but both sides know their strengths and there is never a question about it. “Lapland men want to go into nature too and you must let them go. I tell Irene that I am meeting Santa the next day and that he’s failed in the past 9 years to deliver me a much-coveted boyfriend. “Have you written to him?” she asks. Actually no, I haven’t. Instead, I’ve been a typical female, expecting a man (in this case Santa) to be able to read my mind. “Should Christine ask Santa for a boyfriend?” Irene whispers to her house elf? The elf says yes. It’s a good sign. I sleep the night in the exotic Santa’s Igloos Arctic Circle where sublime snow is dumped on my glass ceiling during the night. I’m a tiny figurine inside a Christmas snow dome. 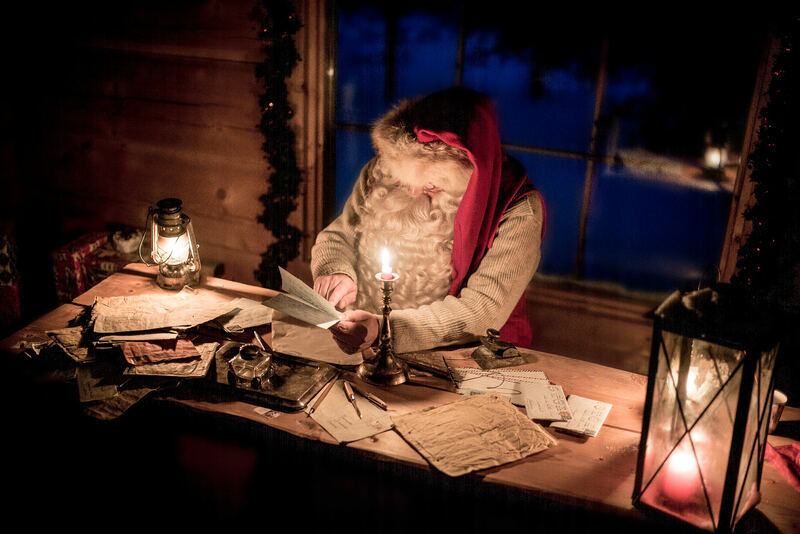 I awake, pen my note (tossing in “peace on earth” for good measure), and march through the snow to the nearby Santa Claus Village, where I have the first appointment of the day with Santa. 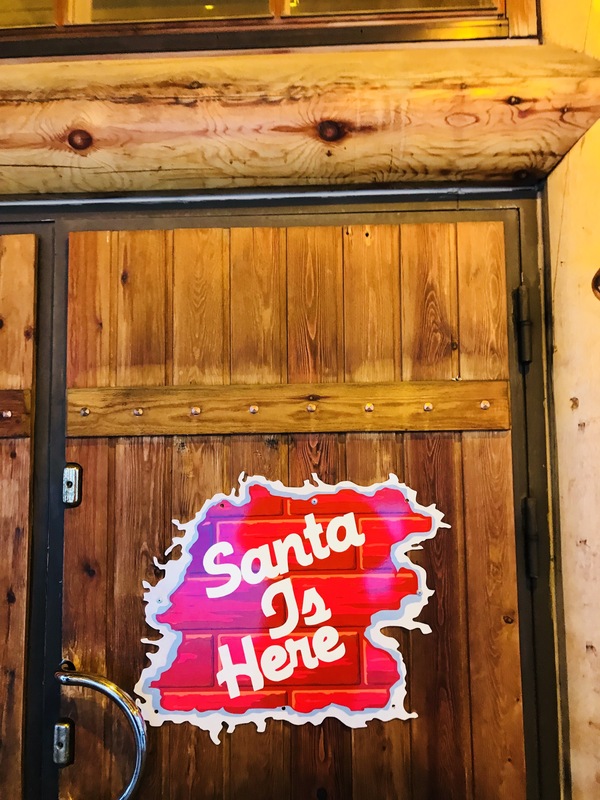 Santa opens the dialogue, asking me the kind of question a Brisbanite would: whether I live on the “north side or south side” which is a little disturbing, as I feel he should already know this crucial bit of information. He’s also not so great on meteorology, saying he doesn’t feel the heat in his bulky suit in Brisbane in summer as he arrives at night. Who is HE kidding? I lay awake in December dressed in far less with a cool face washer on my boiling brow, cursing like a grinch. Things are off to a shaky start. But he’s up-to-speed on the no chimney situation in Brisbane, saying he just waltzes through the front door. I ask him whether that constitutes break and enter. “Who would arrest me on Christmas night in this suit? I’m not breaking and entering, I’m delivering,” he says. (Try explaining that in Brisbane Magistrates Court). He also wants Aussies to know the days of leaving out a cold beer for him are over “there’s no drinking and driving” and that he’d prefer a water. (Fine, Santa, more beer for me). “I can promise that you are on the nice list. We don’t take the naughty ones in here at all,” he says. I ask Santa whether Trump would make his naughty list. Santa quickly shuts me down. International politics are clearly not to be discussed with the big bearded bloke, who has just invoked the Santa Clause. I move on to the issue at hand. The fact I want to meet a kind, smart and funny man. I personally hand my letter to Santa, having long given up on the efficacy of Australia Post. “This has been top of the list for many people,” he says, reading my request for love. “The biggest problem is I have no idea how to park them. Should I put him in a box or roll him up or put him in a sock?”. I tell Santa to just shove the decent bloke through the front door and I can find him under the Christmas tree. Frankly, it wouldn’t be the first time I’ve found a drunk bloke under a tree on my property. “One problem is we don’t take back presents, there is no guarantee, so you are stuck with them,” he says. I’m feeling Santa knows much more about Brisbane blokes than I first imagined, so I push him to just try to find me a good one. “I can try, you never know what is around the next corner. They can just appear sometimes,” he says. Two weeks to go. I’m waiting Santa. I’m waiting. That is one great photo of you interviewing Santa! But…is it just me…or do Irene and her elf bear a striking resemblance to each other??!! I hadn’t noticed, I was a little too focused on Irene’s words, but now that you mention it, yes, she does. She had a house full of elves, who all had different roles. But it was the naked one that most caught my attention. I tried to post various pics on FB this morning for this blog post, but mysteriously nothing would work. Elves at work? Brilliant, I always knew he was real. 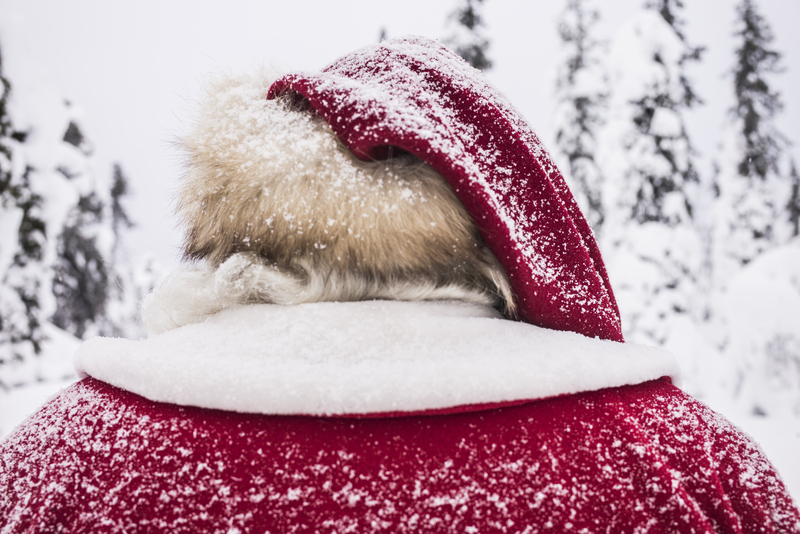 You are a very lucky girl to have met Santa Claus – now be good. I love this post. Thank You. Excellent Santa report. I am very glad that You made this post. Arctic Circle is one of my favorite Place in wintry Finland, but Finland offers more. Did they never tell to You about World’s Biggest Snow Castle? Surely no! What about participating in reindeer race? I guess that, no. Reindeer races are free for everyone. Thank you! So much more of Finland to explore.